Item is out of stock but on order from supplier. oversized shipping Products that are either heavier or larger than regular items are deemed oversized. This includes heavy items such as some tripods, inkjet paper, dye-sub paper, some lighting kits and printers to name a few. Canada Post charges weight and dimensional surcharges that apply to items in excess of their guidelines. 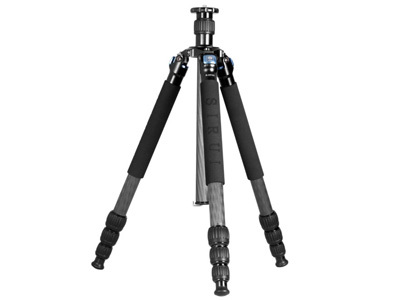 Sirui R-X Series Photo/Video tripods are our tallest, strongest and most stable tripods ever! The redesigned spider - the core of the tripod - is incredibly stable and has a very high load capacity because the legs are positioned under the platform instead of alongside it. The updated cross pattern leg construction - 10 layers of 100% carbon fibre placed in alternating directions - provides increased rigidity and vibration reduction. New cross pattern of Carbon Fibre layers provides significantly increased stability and vibration reduction. New leg angle locking system makes selecting one of the three angle positions fast and reliable. 3 point locking platform makes converting from a still to video tripod fast and secure (the locking channel on the platform/75mm bowl adds stability and greater locking integrity). Lightweight 10 layers 100% Carbon Fibre legs. Flat platform can be replaced with a 75mm bowl for use with SIRUI video heads. 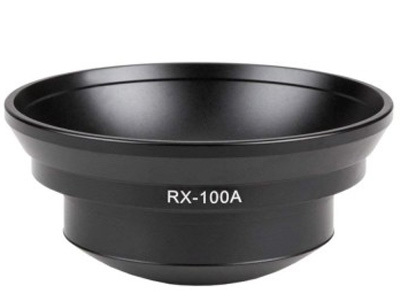 RX-402C center column is supplied can be attached for increased height or inverted for angle shots. Built-in bubble level makes horizontal adjustments fast and easy. Replaceable rubber foot/stainless steel spike. Hanging hook is also an allen key tool. The ergonomic pull-out leg angle locks let you select one of the three leg angle positions very quickly and efficiently. And the auto locking mechanism adds speed and convenience. We've totally re-engineered the internal leg lock system for greater locking capacity, and redesigned the rubber lock knobs for extra grip in wet or cold environments. The built-in bubble level makes horizontal alignment fast and easy. 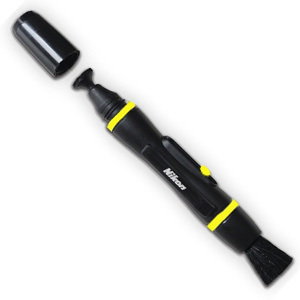 And the removable rubber feet and stainless steel spikes (included) let you work on any surface! Today's photographers also do videos. The SIRUI R-X Photo/Video tripod is ideal for that photographer because it can easily convert from a photo to video tripod! The flat platform - excellent for use with big cameras and super telephoto lenses - can be easily replaced with a 75mm (included) for use with Sirui video heads. The 3-point locking platform makes converting the RX from a still to video tripod easy and very secure. The custom locking channel on the flat platform and video bowl insures added stability and locking integrity. This is not coming loose! And for extra convenience, the hanging hook is also an Allen key for loosening or tightening the platform screws.